Light as a feather. I can run this OS in almost everything. Is light and fast, but the best of all is his performance in low end PC´s. Everytime i install Lubuntu in a new PC i know that is going to work smoothly for a long time, not just the first days. Lack of options in the app store/center and poor interface. At first sight you can see the price you have to pay for lightness. I have to say it, the interface is not nice. The app store have very limited thing that you can install. If you need a GOOD operative system to install in a low end PC. Lubuntu is the BEST option. As it says in its slogan this operating system is super light and very useful to the user on a computer that is not high-end. The main thing and what I love is that it is free software and apart is a Ubunto project, it has a package manager called "Lubuntu Software Center". Although its current version "16.04.3." is giving several problems of actulization I like it a lot. It has tools to work with multiple drives and RAID configurations. Since I was just installing LXLE in a drive on a laptop, I did not need to take advantage of the more advanced features of Btrfs. since its main advantage is its low consumption of resources ... because this I take advantage of to rescue computers and practically obsolete and in turn in signals to new users the culture of free software and so they learn that there is something more than Microsoft. "Steamlined and Efficient - A fantastic choice for older hardware"
Lubuntu gets the job done as well as any other Linux distribution without requiring much in the way of computer specs at all. I do think the user interface is *slightly* awkward, but I think that just comes with the territory. Also, there is not quite as much user support as, for example, GNOME. Of course, support for graphics manipulation software for Linux in general isn't the greatest, but for my purposes, it was sufficient. LibreOffice Writer is a good implementation of a word processor. Lubuntu allowed me to continue to use an old computer without having to upgrade my hardware. I can, smoothly, run the most current version of Ubuntu and the Linux kernel without spending a dime, without impeding my workflow at all. "Lightweight Linux distribution based on LXDE"
RAM Usage is less than 1/2 of that of UBuntu on a typical installation and less than 1/3rd when working off a Live CD . It is a lighter flavor of linux / Ubuntu and strongly recommended for users who wish to use Unix, without paying for huge Window's licensing fees and have a low capacity hardware. It takes up much less disk space and memory than otherwise. Very light weight and highly recommended for users who wish to transition from Windows to Linux, but find Ubuntu and Mac very steep. Highly recommended for its very low memory usage, high speed (as a result) and excellent performance on basic hardware. I used it for personal purposes to edit, write and send documents as well as do some programming. I use a Macbook, a Unix workstation and LUBuntu to stress test some applications developed in our organization. I find LUbuntu to be a very easy to use light weight OS, allowing greater manipulation of the kernel and its functionalities. I really like that it has such low hardware requirements allowing me to run it in a virtual box on a tablet that has very low hardware capabilities, making it so that I can always have linux with me when I need it. I some time miss the unity user interface I'm used to on my beefer machines that I run full ubuntu on. But the LXDE interface is very capable and gets my tasks done. It is great if it meets your requirements if your hardware exceeds requirements you may be better with something else. I often need to have a multitude of operating systems and tools literally in my back-pocket or backpack. As I'm an IT business consultant working from home, my bicycle, or my paddle-board. Being able to have a useable linux virtual machine with me is priceless when I'm remotely working with web servers, or other computer systems and want to test things not on the live machine, in case anything hits a snag. "Very light, running on Core2Solo Cpu with 2GB ram"
we're able to recover old laptops, using them as "travel machines"
Uses very few resources and runs very well on computers from even the 90s. Has quite a bit of a learning curve and takes a bit of finesse to make it fit for you. Lubuntu solves the issue of repurposing outdated equipment and allows for a new life span of said equipment. "lightweight and fast - everything a linux distro needs to be"
It's a little dated in terms of UI (lxde) but that's not really a complaint. GUI is not very pretty like windows, MAC or mint linux are. I use it as my linux distribution for my research work. "Faster OS for low config system"
* We monitor all Lubuntu reviews to prevent fraudulent reviews and keep review quality high. We do not post reviews by company employees or direct competitors. Validated reviews require the user to submit a screenshot of the product containing their user ID, in order to verify a user is an actual user of the product. Hi there! 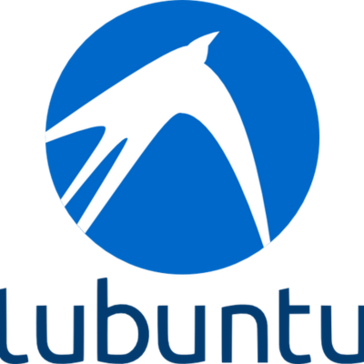 Are you looking to implement a solution like Lubuntu?